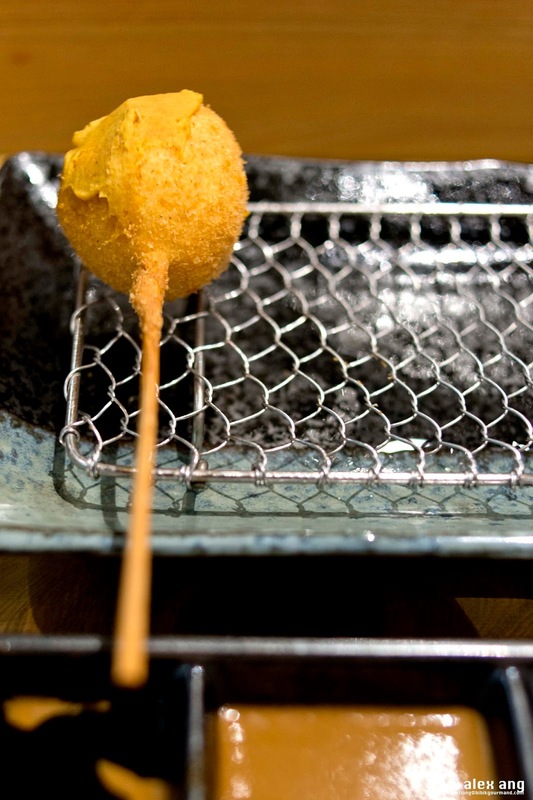 Three years after entrenching itself as the kushikatsu restaurant of choice in Singapore, Han is out to groom a sophisticated set of audience for fine-dining oden. 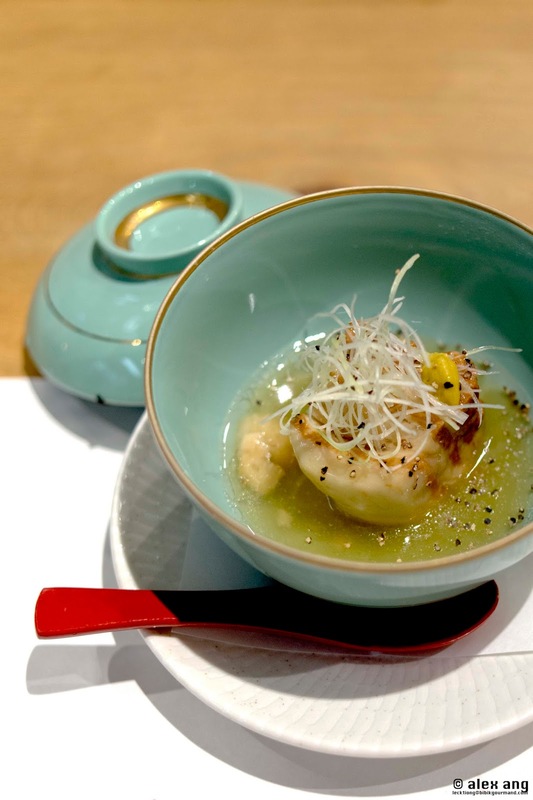 Typically a Japanese street food comprising ingredients – like daikon, fishcakes and beancurd – that are first steamed, fried or boiled before being simmered and served in soya sauce-flavoured dashi, oden undergoes a mini facelift of sorts at Han, all in the name of refinement. Under the stewardship of executive chef, Seiichiro Arakawa, an alum of kaiseki powerhouse Kitcho (Kyoto), oden is served in individual courses by the hinoki wood counter previously dedicated to sashimi service. 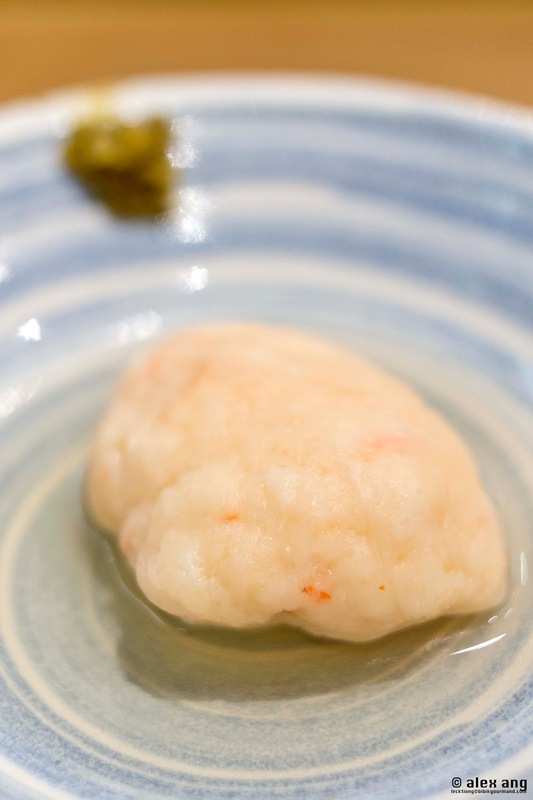 To wit, Arakawa’s Kansai-style oden uses a more delicate white shoyu – instead of light shoyu – in his dashi preparation. 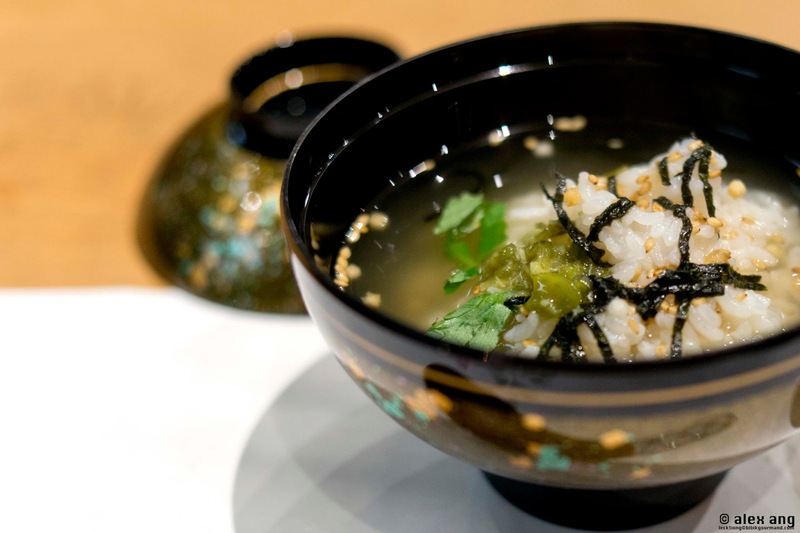 The resulting consommé distills a clearer, more refined broth heightened with umami, elevating the ingredient that it’s wedded with into the realm of deliciousness. 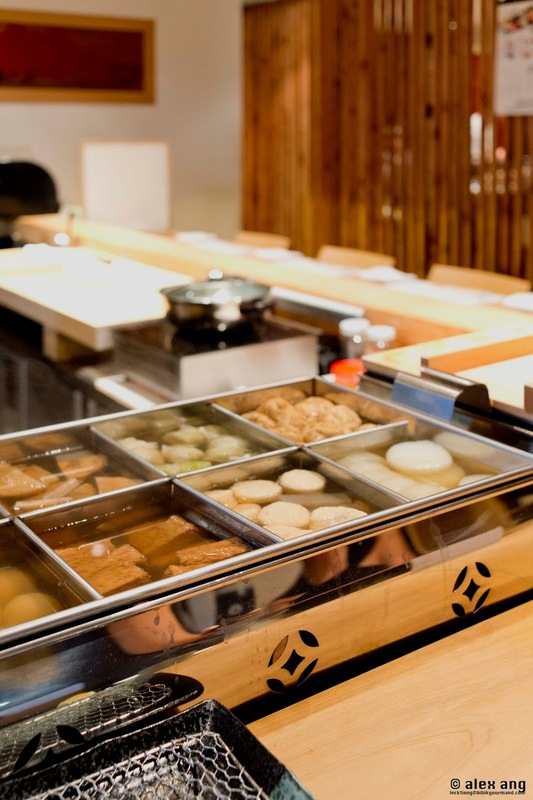 If you’re picky, select from a concise a la carte menu of about 15 different types of oden cooked in an oden pot that now anchors the oden counter. If you’re not, let the chef decide with the Osaka oden omakase menu (S$120++) – apart from 12 different types of oden, you’ll be served an appetizer, 2 palate cleansers, a choice of udon or ochazuke and a dessert. If you prefer variety, the Osaka oden kaiseki menu (S$160++) may just be your ticket. 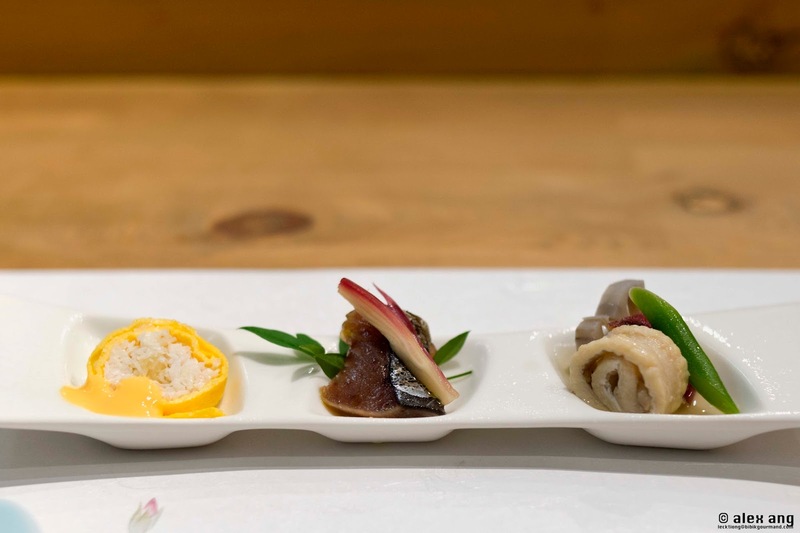 Like the omakase menu, the kaiseki menu starts with an appetizer. During our visit, it was a trio of finger food (crabmeat with egg, pickled katsuo (bonito) and anago) that was more artsy than delicious. Then a mandatory serving of sashimi (akami, hirame, kampachi and hamo) – our favourite was the hamo. This was succeeded by a rather extensive oden course, a parade of 7 individually served simmered dish, each cooked simply and served basking in a shallow pool of deeply savoury yet clean-tasting dashi consommé. There was a mound of shrimp cake, first steamed then gently simmered and served with a smidgeon of yuzu kosho (chilli pepper and yuzu zest paste). Also steamed daikon, a highlight at dinner, served with the refreshing zest of yuzu and a dollop of sweet and full-bodied saikyo shiromiso. If we have to pick favourites, it would be the concluding oden dish of pork belly. First boiled with ginger, garlic and spring onion, then cut into cubes and simmered in dashi, the pork belly was served in a gloriously silky ankake sauce prepped from the simmering liquid. It was all good although, admittedly, the meat was a tad tough. 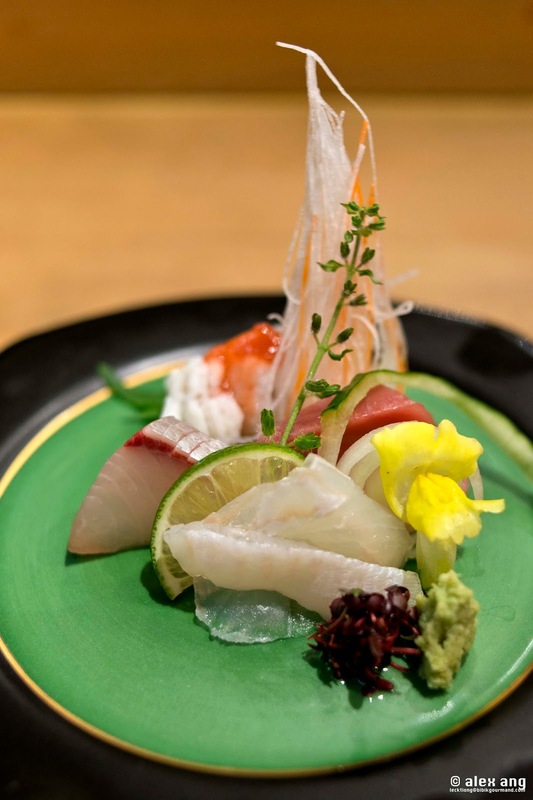 On the downside, the ball of steamed sardine with horse mackerel topped with chopped spring onions arrived with a distinct pungent undertone that even ginger and the accompanying yuzu kosho failed to buffer. 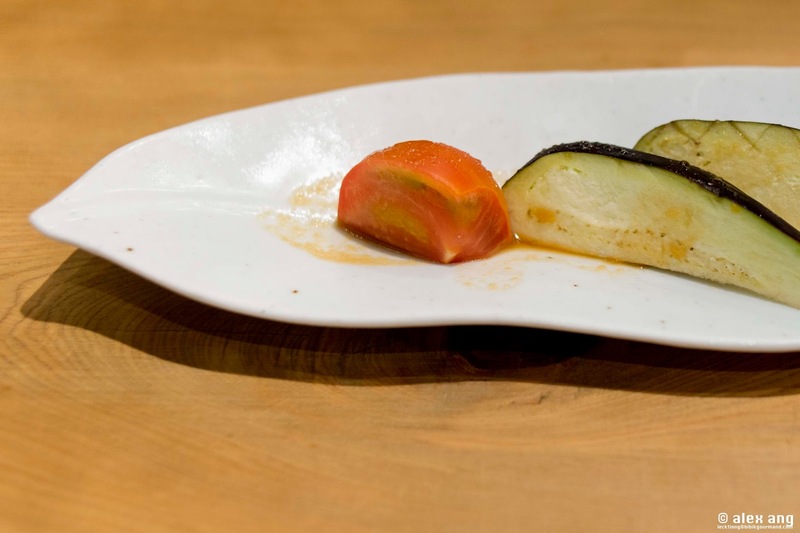 Instead of the usual sorbet-type palate cleansers, Arakawa presented a refreshing perspective of water eggplant (apparently available in Osaka for only 2 months each year) and Amera tomato. The sheerness of the ingredients spoke for themselves, and they cleansed the palate with such aplomb that we almost asked for seconds. 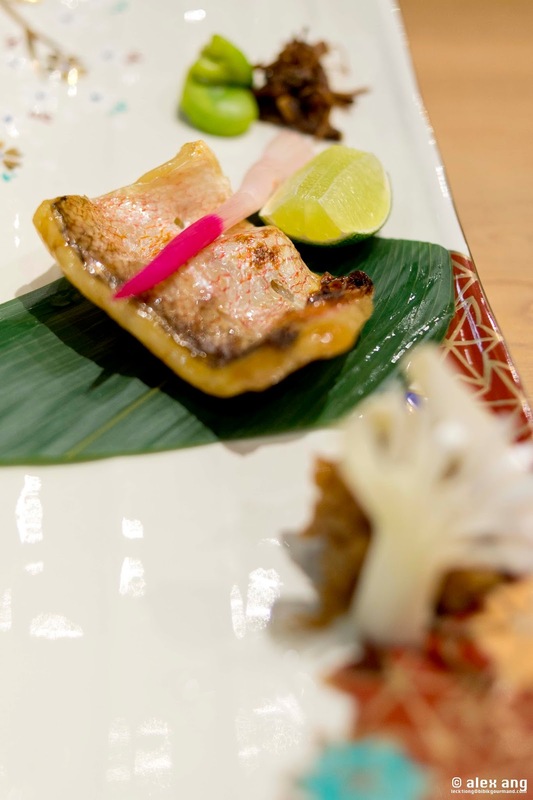 The effect of the palate cleanser was curbed with the ensuing dish of saikyo shiro miso-marinated grilled tilefish, which brought on an onslaught of sweet, savoury and somewhat smoky flavours. As if to remind us that we were in a kushikatsu-ya, the kushikatsu course arrived – a trio of skewered, battered and deep-fried delights of angel prawn, scallop and Japanese “siew mai” (chopped onion-flecked minced pork). Admittedly we were taken with the “siew mai” but the other sticks were just decent compared to the ones we savoured previously. Perhaps it was because we were seated at the kushikatsu counter then, when the skewers were served fresh hot off the cauldron. Any traces of disappointment were swept away with the arrival of the ensuing carb dish. We picked ochazuke with a choice of wasabi (other options included plum or seaweed) over udon, and were rewarded with a bowl of white sesame-flecked rice steeped in dashi gently perfumed with wasabi. 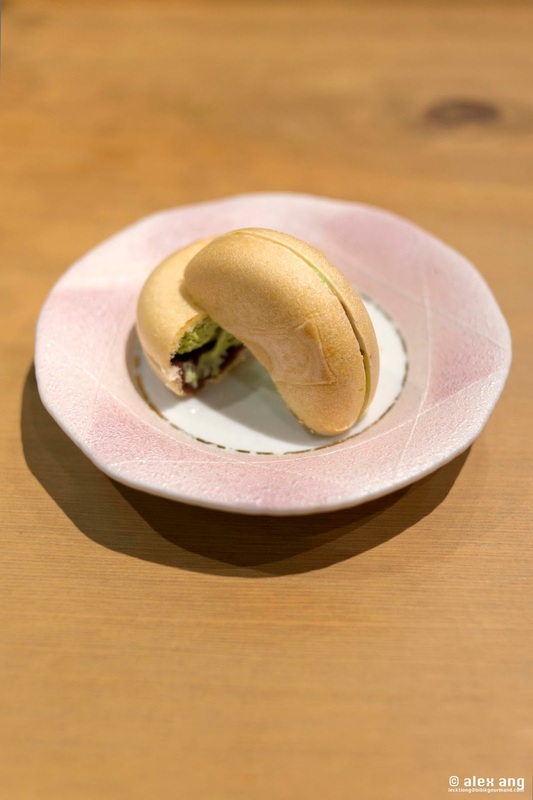 The same understated theme continued with the dessert -matcha ice cream sandwiched in monaka (wafer “biscuit” with azuki bean jam), a perfect statement for Han’s underlying zen theme. Notwithstanding the somewhat inconsistent kushikatsu experience, our oden kaiseki menu at Han was for the most part delightful. The sheer brilliance of Arakawa’s dashi has added a much-needed refinement to a cuisine that’s often pitched as street food in Japan. Indeed, for the fine dining oden-ya that it set out to be, Han will do well to incorporate even more exciting seafood or vegetables options into its oden menu. Then, it will be set far apart from its street food brethren.